Above: Joanne Doyle with crew members in Swords. Defence Forces NCO Joanne Doyle spent a year working with Dublin Fire Brigade as part of her postgraduate advanced paramedic internship. Lebanon. Liberia. Chad. The Golan Heights. Swords. One of these is not like the other. The latter, along with Finglas and Tara Street, is where advanced paramedic Sgt. 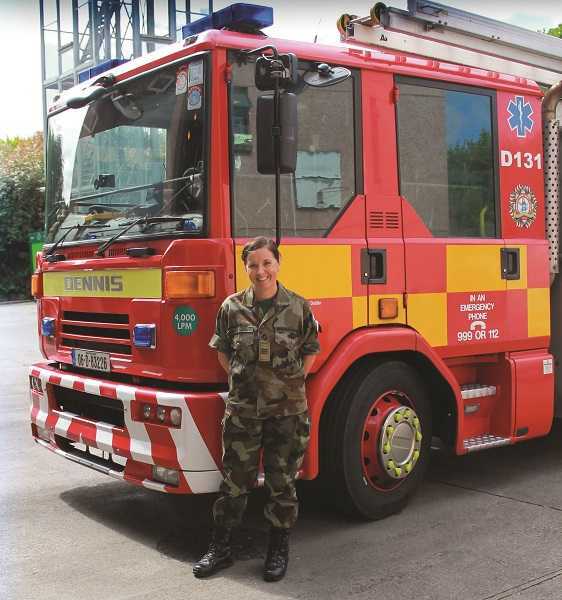 Joanne Doyle – a non-commissioned officer (NCO) with the Defence Forces – spent the best part of a year attached to Dublin Fire Brigade while completing her AP internship. Joanne is usually based in the Defence Forces Training Centre in the Curragh, Co Kildare, but her drive to improve her skills within the medical and paramedic fields have seen her career take an interesting tangent. All Defence Forces recruits follow a similar path – 17 weeks of basic training, followed by 3 Star training, and specialist training courses at a later stage. Joanne always had an interest in further education and set her sights on joining one of the core units – staffed by soldiers with a specialised skill. Her first step was to complete a ten-week military medical course in the Curragh followed by ambulance-based skills, including the use of a defibrillator. In 2005 she undertook a paramedic course with the National Ambulance Service, learning skills that would stand to her on a number of overseas missions. Deploying overseas with other United Nations peacekeepers can be an interesting experience, not least because you have an opportunity to work with people of different nationalities and backgrounds and see how they approach certain challenges or situations. It’s more than two years now since Joanne first began training as an AP through University College Dublin (UCD), having decided to take the next step in her career, a process she describes as challenging, though made easier by the Defence Forces’ policy of allowing students like Joanne to focus on their studies. Although her work in the Defence Forces won’t make use of her skills as often as a shift in Dublin City might, she felt that the ability to make greater clinical interventions, particularly in difficult situations overseas, would stand to her and those under her care. 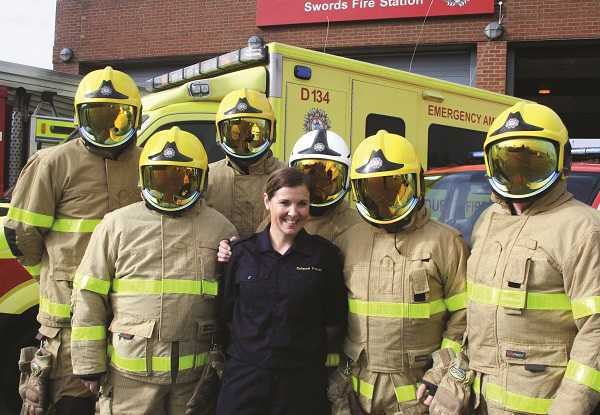 Her first contact with Dublin Fire Brigade occurred during the Block 3 internship, a six-week stint on the road supervised by a doctor or professor in medicine. Once she had passed her exams, Joanne was keen to complete her postgraduate internship with DFB, realising that it would provide her with a wide range of experiences and learning on the job, not to mention a rank structure and a team spirit ethos similar to that of the Defence Forces. Some informal enquiries were made, followed by a formal meeting – the issue of indemnity from the Department of Defence had to be resolved among others, although Joanne describes this process as ‘straightforward’. 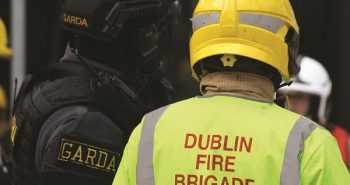 “I thought that Dublin Fire Brigade was a much better option for the volume and variety of calls, and exposure to different types of clinical situations. My interaction with the Defence Forces was limited for the year, because the Defence Forces will let you gain your exposure and your experience for 12 months before you return,” she explains. Her initial point of contact in DFB was Third Officer John Keogh, a former member of the Defence Forces himself, who investigated the possibility of Joanne coming on board for the year and worked with EMS Support Officer Martin O’Reilly to sort out indemnity, insurance cover, Garda clearance and the myriad administrative issues that had to be overcome. 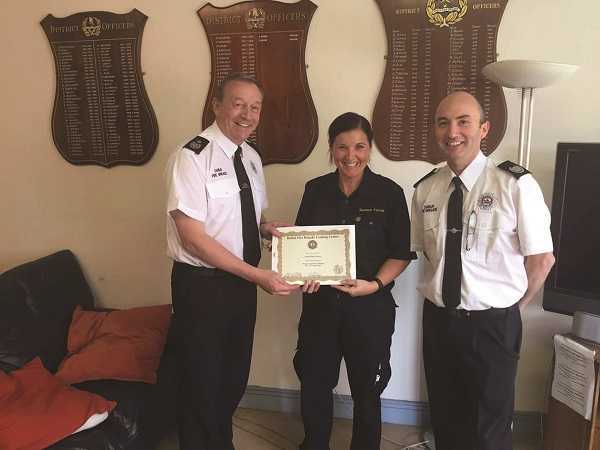 During her 12-month stint Joanne worked on C watch, primarily between Swords and Finglas, with weekly shifts on the AP car based out of HQ and several weeks in No 8, broadening the range and type of incidents to which she responded. “Martin O’Reilly dealt with my schedule. He was absolutely fantastic, I always received it weeks in advance,” she says. “I always knew where I was going – it was very professional.” Those three stations were chosen to give Joanne a broad overview of the incidents DFB APs and paramedics deal with on a daily basis, with different population profiles and risk factors in each location. Joanne with Third Officer John Keogh and EMS Support Officer Martin O’Reilly. Joanne has since completed her year with DFB, which she refers to as one of the highlights of her 19 years with the Defence Forces. She returns to a perhaps less hectic life at the Curragh where any given day could see her leading driving courses (she’s also a driving instructor), joining heavy armament shoots in the Glen of Imaal in case of injuries, or simply tending to the medical needs of personnel on the base. “It’s an absolute adjustment!” she says with a smile. 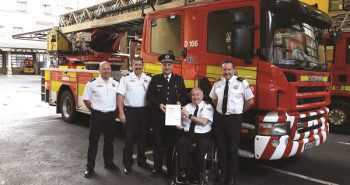 “I’ve been out of the Defence Forces for two years on and off between being in UCD and working with Dublin Fire Brigade. I will work as an AP but I won’t work on a daily basis on a frontline ambulance.” Still, Joanne brings back a wealth of experience having had the chance to practice her newfound skills in a more clinically busy environment than she would experience with the Defence Forces, and to shadow and work with DFB APs who have been practising for a number of years. The relationship with the Defence Forces also continues to blossom – a second AP has since begun his AP internship with DFB, a good sign of things to come. “We’re hoping that continues with Darren McDaid – he’s going to be with us for a year. Hopefully we will continue that development between ourselves and the Defence Forces because it’s great to be able to do it. We’d love to be able to facilitate it more,” says T/O Keogh, a sentiment echoed by Joanne.